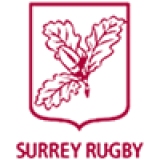 Congratulations to the Surrey Ladies who won their round of the Gill Burns County Championship, this weekend (Sun 6th May) against Sussex at London Irish Amateur RFC - Hazelwood. Both teams did exceptionally well to compete in the unusually warm conditions, which finally resulted in a Surrey win of 12 - 5, securing them a place in the semi-final. A special mention to those ladies from Sutton & Epsom RFC and Guildford Gazelles, who not only represented Surrey this weekend, but then went on to represent their Clubs (and win!) at the Surrey Rugby Incentive FM Finals Day the following day (Mon 7th May).